Lou Ann Goodrich has a love story to share. A love story that began at Yellowstone National Park. Lou Ann had been captivated by wildlife going back to her childhood. At Yellowstone that love collided with a newfound passion, photography. 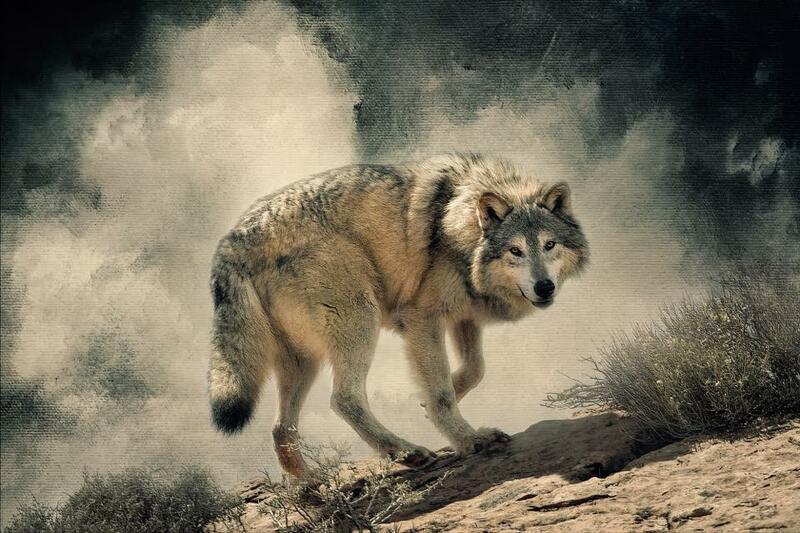 For ten years Lou Ann photographed all types of wildlife. She would sit for hours patiently waiting for that perfect moment to capture an animal in its natural environment. The effort sometimes would require she work behind a blind to avoid being seen by her unsuspecting subjects. Lou Ann usually reaches for her Canon Dx1 when working in the wild. She loves this fast and accurate camera for action sequences, allowing her to capture quickly changing interactions. Working quickly with moving subjects doesn’t always allow the luxury of a tripod. When she can, Lou Ann likes a gimbal head, for its ability to move smoothly with the action, and a 200-400 lens. If the situation calls for hand-held, she opts for the lighter Canon 100-400 lens. Lou Ann shoots landscapes to enhance her images using a 24-125 lens. With her trove of equipment and all the patience in the world, Lou Ann collects images rarely seen by most of us. Lou Ann was amazed at the caring interactions between these animal “families”, the care they provided one another and the way they played with each other. Her love for these animals grew with her practice. She became committed to sharing their stories and encouraging protection of the diminishing wildlands where they live. Recognizing the near extinction of numerous species, she felt compelled to act. She believed that she could use her photographs to bring greater awareness and support to her developing cause, working to save the wildlife. Lou Ann’s efforts and photographs were well received, but she felt like something was missing. She wanted to share a more compelling story, one that was not quickly told in a single photograph. This is when she stumbled onto an emerging field of photography, photo-based digital art. Working through cutting-edge photo artistry classes, she developed a style that preserved the natural emotion of the scene and combined images to tell a more complete story. Refining her skills with advanced tools of photo artistry, Lou Ann was able to realize her vision by adding her unique touch to what she saw through the lens. 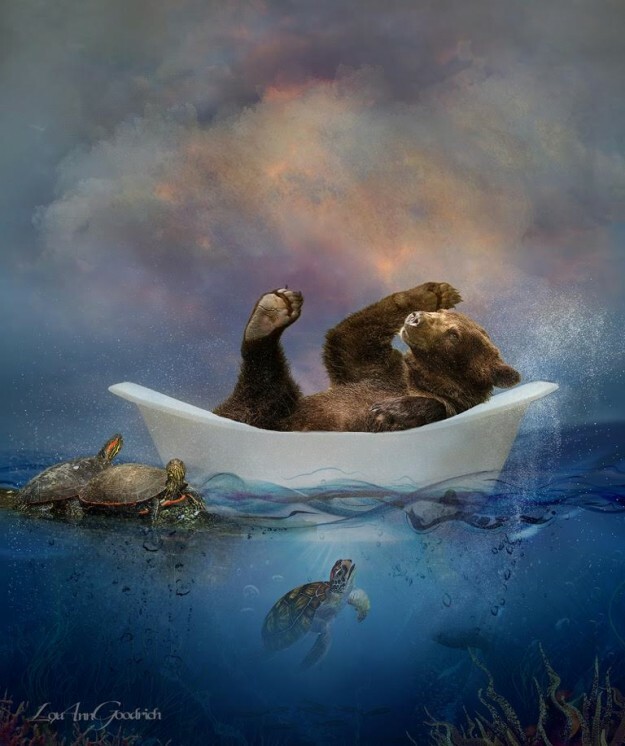 The art of compositing allowed her to better convey the gentleness between a mother and her cub, or the playfulness of a young animal exploring his new world. Lou Ann developed an all-consuming passion for creating images of endearment, with the purpose of sharing the importance of maintaining wildlife diversity. While most of Lou Ann’s wildlife pieces present animals in their natural habitat, she isn’t afraid to show her whimsical side. Her piece, Surprise Visitor, is one of her most popular. 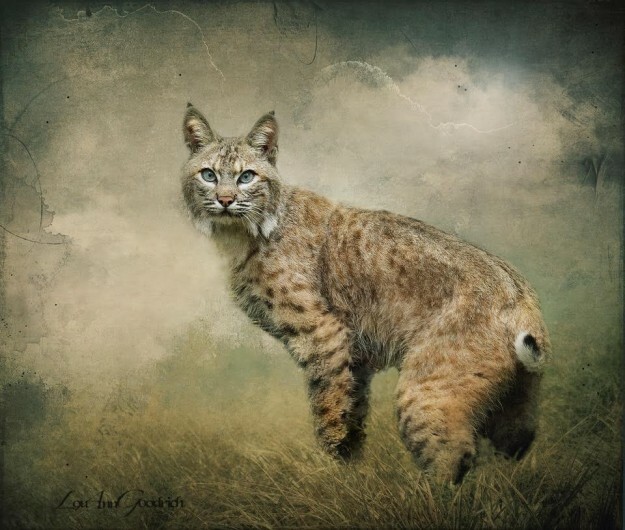 Through Lou Ann’s art, she hopes that people will see wildlife in a new light, feel compelled to protect their habitats, and preserve the beauty of these animals for all. To learn more about Lou Ann’s work, visit www.louanngoodrich-photoartist.com.